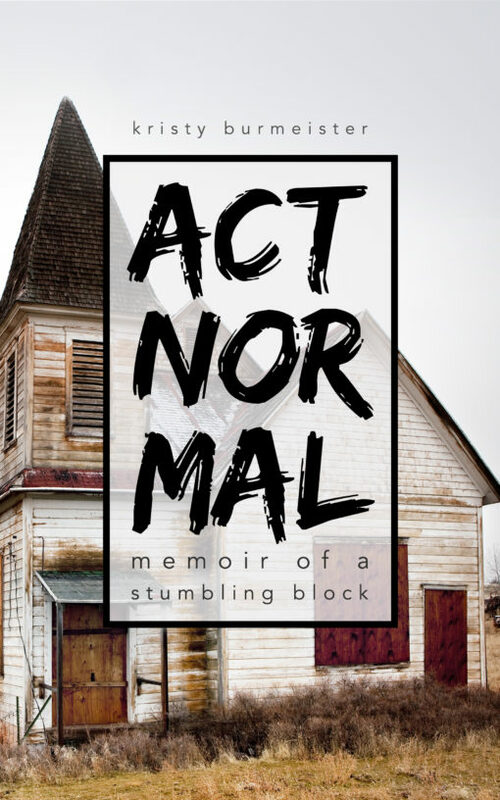 Find Act Normal: Memoir of a Stumbling Block on Amazon. A timely memoir for the #MeToo and #ChurchToo movements. What happens when church isn’t safe? Eighteen-year-old Kristy is on a service trip with her youth group when a middle-aged man from her church breaks into her bedroom. Their church shelters her stalker, even as his erratic behavior escalates toward a promised Old Testament-style execution. A raw and honest journey through the emotional and spiritual aftermath of religious trauma that anyone who’s been hurt by their church community can relate to. Want to read a sample? Read the first three chapters. Find Act Normal on Amazon.